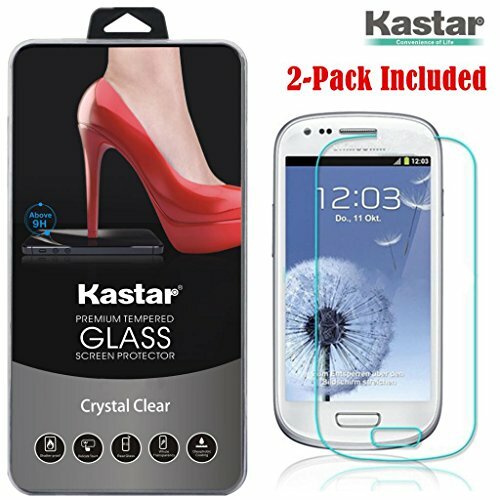 Kastar Crystal Clear Screen Protector Kit Includes: 2 x S3 mini Tempered Glass Screen Protector 2 x Smoothing Card With Installation Instructions 2 x Alcohol Cleaning Wipe 2 x Microfiber Cloth 2 x Retail Packaging 2 x Kastar Feedback Card FULL and COMPLETE Protection For Your Smartphone Screen Compatible with the following models: Samsung Galaxy S3 mini, i8190 *Lifetime Warranty - We Value Your Satisfaction: Lifetime no-hassle warranty provides easy lifetime protection for your tempered glass screen protector. *2.5D Rounded Edges Design: Kastar Crystal-clear Ballistic Glass is quality cut to perfectly match the rounded edges of your smartphone. 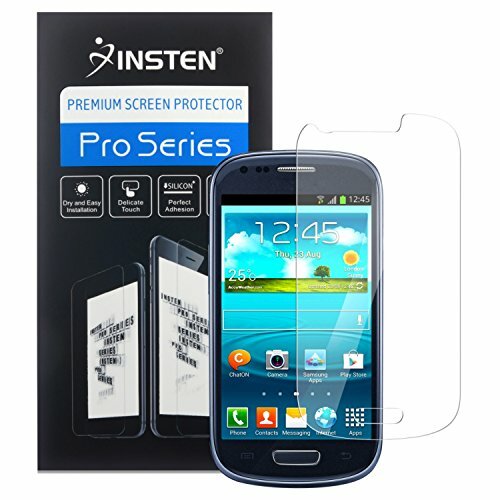 *Anti-Scratch: Kastar glass screen protector features a Surface Hardness (9H), which is 3X stronger than the PET film, and providing a natural screen experience you need. *Crystal-clear Screen: Use Japanese Crystal-clear Glass, 99.9% High-definition clear hydrophobic and 99% Touch-screen accurate. 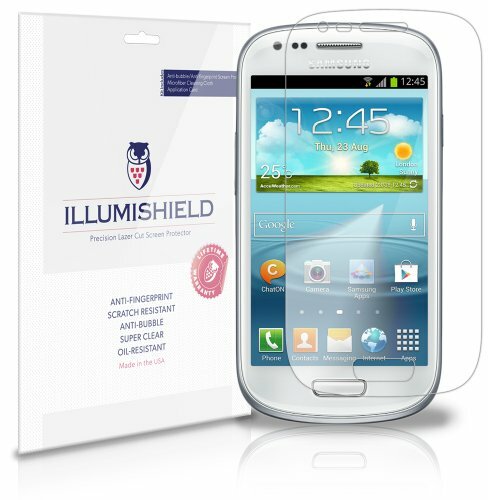 *Anti-Fingerprint Coating: Use Japanese Crystal-clear Glass, oleophobic screen coating protects against sweat and oil residue from fingerprints. 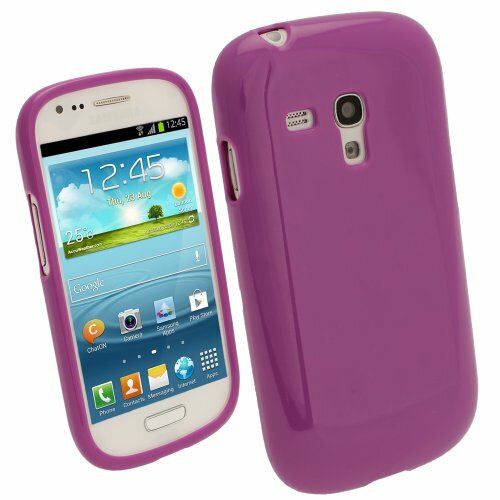 *Defense Fall Rupture: Design as well as great shock absorption, this method avoids the danger of screen crack.It also has a static property that can be to repel dust. Kastar Crystal Clear Screen Protector Kit Includes: 1 x S3 mini Tempered Glass Screen Protector 1 x Smoothing Card With Installation Instructions 1 x Alcohol Cleaning Wipe 1 x Microfiber Cloth 1 x Retail Packaging 1 x Kastar Feedback Card FULL and COMPLETE Protection For Your Smartphone Screen Compatible with the following models: Samsung Galaxy S3 mini, i8190 *Lifetime Warranty - We Value Your Satisfaction: Lifetime no-hassle warranty provides easy lifetime protection for your tempered glass screen protector. *2.5D Rounded Edges Design: Kastar Crystal-clear Ballistic Glass is quality cut to perfectly match the rounded edges of your smartphone. *Anti-Scratch: Kastar glass screen protector features a Surface Hardness (9H), which is 3X stronger than the PET film, and providing a natural screen experience you need. 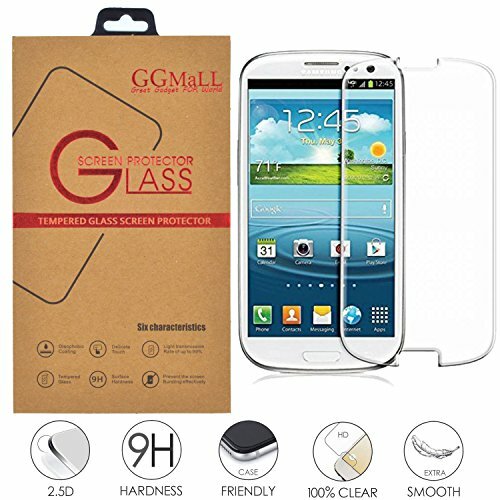 *Crystal-clear Screen: Use Japanese Crystal-clear Glass, 99.9% High-definition clear hydrophobic and 99% Touch-screen accurate. 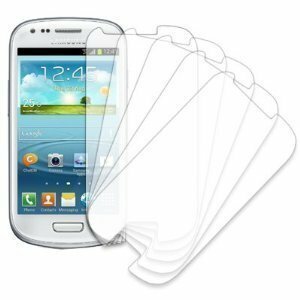 *Anti-Fingerprint Coating: Use Japanese Crystal-clear Glass, oleophobic screen coating protects against sweat and oil residue from fingerprints. 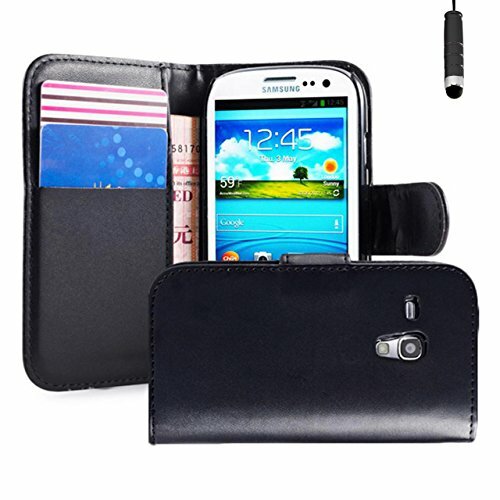 *Defense Fall Rupture: Design as well as great shock absorption, this method avoids the danger of screen crack.It also has a static property that can be to repel dust. Descriptions: Ultra-thin 0.26mm thickness High quality transparent clear screen protector with exquisite package With this screen protector, you can reduce the chances of breaking your Samsung's expensive screen Custom design for your phone, with precise cuts Repels dust, Avoid smudges and Reduce finger prints Does not interfere with touch screen usability and protects the screen Has excellent display effect, high screen sensitivity and comfortable touch feeling This is a perfect product for your luxury Samsung Galaxy S3 mini and you should add one into your cartCompatible Model:for Samsung Galaxy S3 mini Tempered Glass Hardness:9HHow To Install:1. Clean Yours hands and bring all device to a no dust Environment. 2. Use wet cloth (#1)to clean the Mobile screen 3. Then Use dry cloth (#2) to clean the Mobile screen 4. Tear off the release liner (film) from the Tempered glass. Carefully direct the glass at each hole site (home button & camera eye) and edge of the Mobile screen. Then lay the Tempered glass down slowly. (Please make sure No Dust on Surface of the Screen before install) 5. 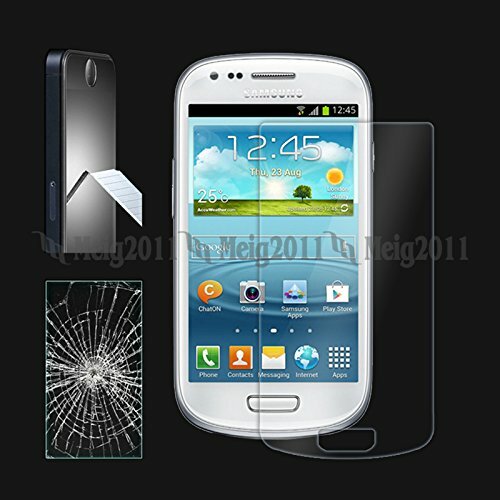 Place your finger firmly on the central part of the glass to fix the tempered screen securely on the Mobile screen.